The chapter discusses the ergonomic and human factors issues surrounding life and death in terms of 21st century design. In this chapter, the authors describe how current limitations in technologies that are specifically designed to be lethal afford greater pain and suffering than necessary. As human factors is a science dedicated to improving the quality of life, it is necessary to critically examine the end-of-life domain, which is an area of research that has been largely neglected by ergonomic practitioners. By providing an overview of the current research in several area including euthanasia, remotely executed lethal operations, and fully autonomous military robots, the authors demonstrate the need to consider morality and ethics in the design process. 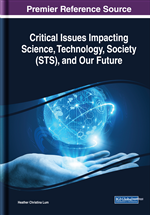 The objective of this chapter is to facilitate critical thinking related to the technologies that we develop as engineers, scientists, and human factors professionals, and examine how human-machine systems have and will influence the process of death and dying. We encourage readers to question how these technologies may potentially be abused in the ending of life, and if the benefits afforded by these technologies truly outweigh the moral and pragmatic costs. Ultimately, we hope this chapter pushes the field to consider the role of human factors toward the end of the lifespan as this time of life is important, poses unique challenges for promoting the quality of life, and affords exciting possibilities for novel technological solutions. Physician-Assisted Death: Physician-assisted death refers to any procedure or treatment that is administered (or withheld) with the explicit intent of ending a patient’s life, with or without the patient’s consent. Remotely Piloted Aircraft: Remotely piloted aircraft, or RPAs, are typically smaller aircraft, like drones, that can be used for defense or surveillance purposes. A trained operator at a distanced location pilots these aircraft. The location of operation is usually quite far from the location of surveillance or defense. Thanatology: Thanatology is the scientific study of death and the practices associated with it. Unmanned Aerial Vehicles: Unmanned aerial vehicles, or UAVS, are aircraft primarily used for surveillance and reconnaissance purposes.